This is the highest quality table that the Hathaway manufacturer produces. 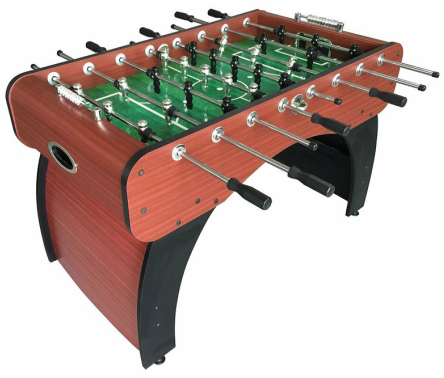 The table cabinet has a thick and durable melamine with a beautiful espresso finish. 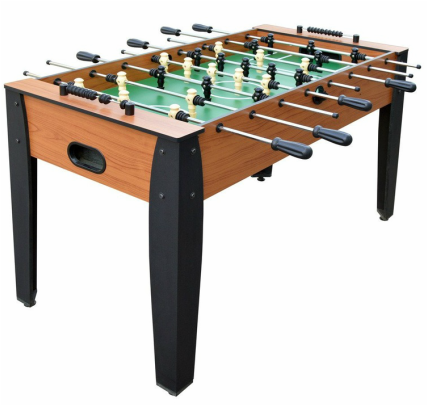 The sturdy table leg design plus cross support beams that connect them provide added stability for aggressive game play. 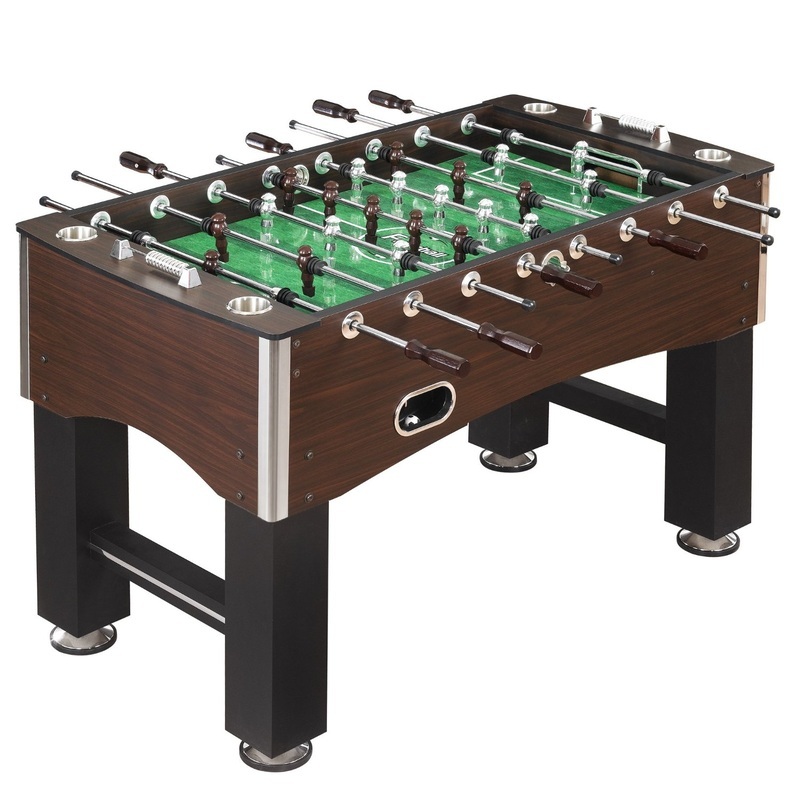 The playfield is cross supported from under it in order to provide a level surface and it comes equipped with stainless steel rods, easy spin bearings, and counter-balanced guys. This table is priced around $500 US.